Just want to share a few cards I made with the new Paper Smooches dies. My first 2 cards were made with the same die, the Thanks 2 word die. Both cards use the stacked stamping technique I've used in the past. My last card uses the new dies that coordinate with the Paws for Cause stamps. If you're wondering what this card is about, think squirrel! Hope you are enjoying your weekend! Thanks for stopping by! These cards are fantastic! 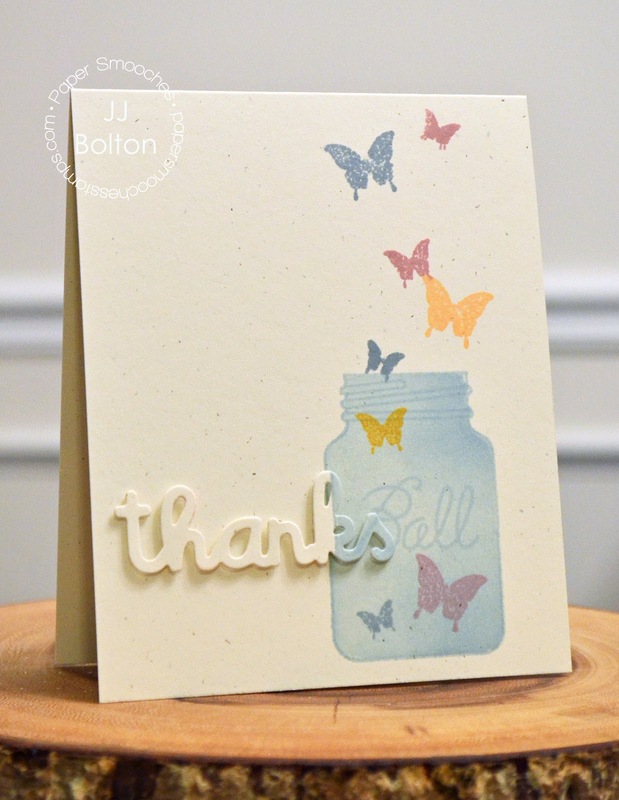 I love that die cutting technique with your beautiful butterflies and also with the jar! Such a clever card with the dog and squirrel, I love it! How beautiful!! I LOVE the first two cards with the stacked technique. The third one is ADORABLE!!! That balloon would be above my dogs head for sure!! Great cards!! Love how you colored the mason jar!!! So pretty!! Such a variety! Love them all. Three fabulous cards, JJ! I love how you used the stacked stamping technique and your last card is so CUTE! It's always fun to see all the clever ways you use your stamps and dies...Love them all! 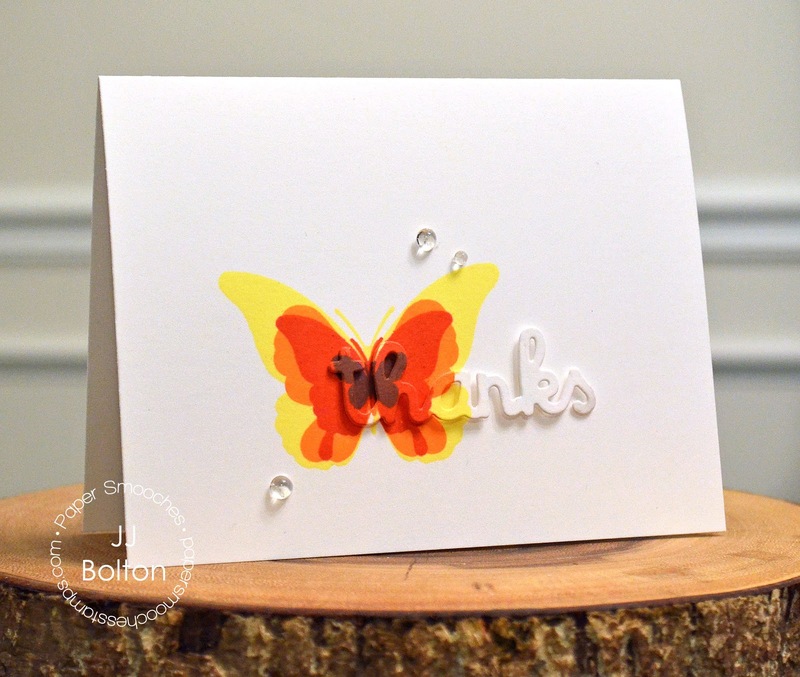 I'm really loving that layered butterfly stamping and that last card totally makes me laugh! Sweet butterflies and I totally giggled with the last one! you are totally a expert on die cut beauties! I just love how you used the dies on the first two cards. Smiling here - love the dog with the squirrel in its mind... but that butterfly totally has me swooning!